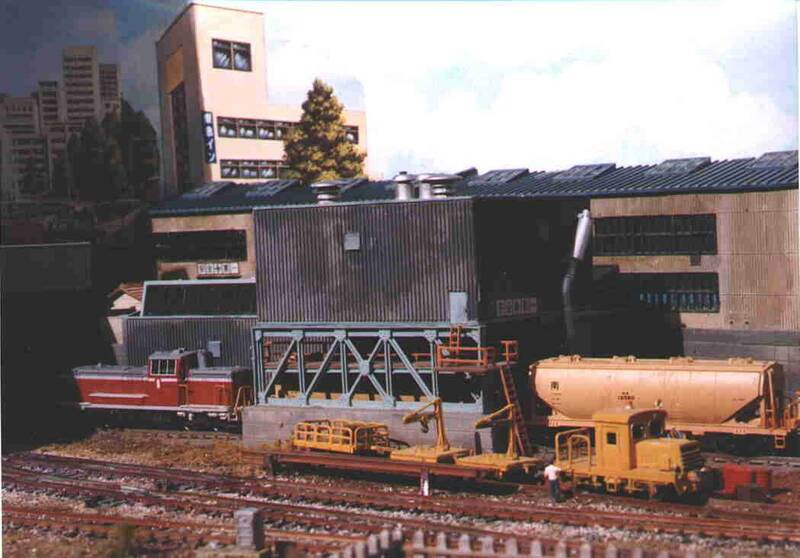 Within the JRS there are quite a few members involved with railway modelling and that has resulted in a number of layouts that all represent one or more aspects of railways in Japan. An impression of a few is given below. A special feature outlining programming with Peripheral Interface Controllers and their adaption capabilities with model railways. Hon-Moku represents a line with lots of freight operation se in a port area. Operation is based on the lines around Yokohama, with a wide variety of rolling stock, many freight trains and short local passenger trains. Click on thumbnail image for a larger view. This layout has added Japanese flavour by being at the size of a tatami mat (approx. 1 x 2 metres). The finishing of the layout is very nice, there are ropes to carry it at the narrow sides, the fascia is unpainted pine adding a nive touch. The layout itself depicts a single-track non-electrified line in a mountainous landscape with many tunnels and steep gradients. Click on thumbnail image for a larger view. Again a small layout, depicting a steam-era locomotive depot. The depot can service any type of Japanese steam loco. The turntable is a Fleischmann unit which is easy to operate, but the looks are not a full 100% prototypical. 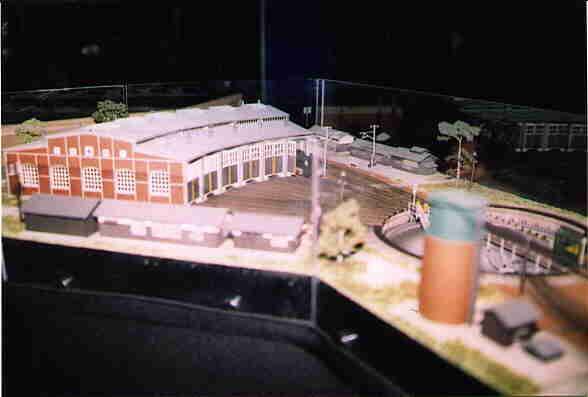 This layout is available on the exhibition circuit, and is located in the north of England. Click on thumbnail image for a larger view. The name is word play of 'Katami 2' as this layout is the successor of Katami. 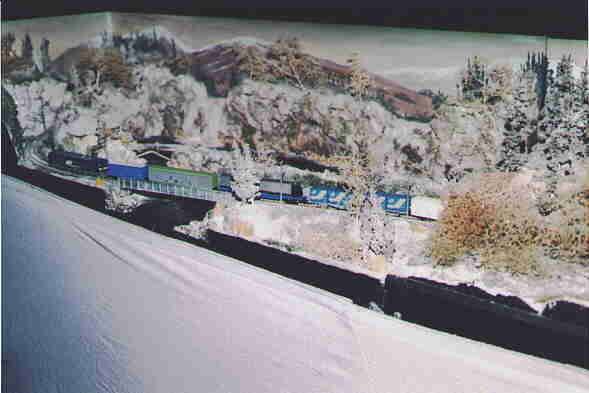 The layout is rather simple, based on Kato Unitrack and has a very nice winter scenery. 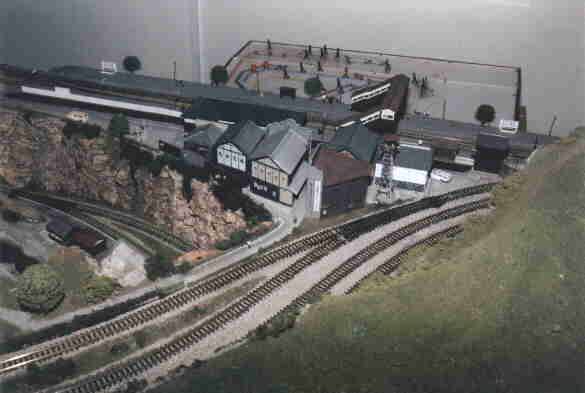 This layout is also available for exhibitions, mainly in the York / northeast of England region. Click on thumbnail image for a larger view. A small table top style layout that could be put up on almost any dining table. This layout could also be put up in the centre area of a larger table-top layout, when available. The trams can negotiate very tight curves, so space isn't much of a problem. 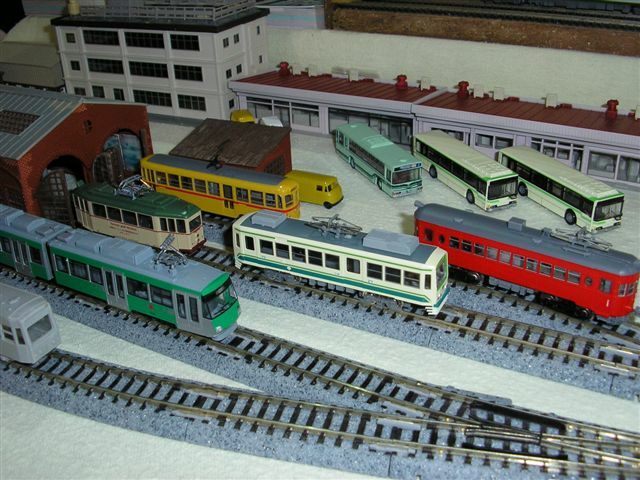 This layout uses Kato Unitrack, the trams are mainly by Modemo, Green Max and Tomytec. This layout is available in the greater London area, but has been on display in the NRM at York as well. Click on thumbnail for a larger view.